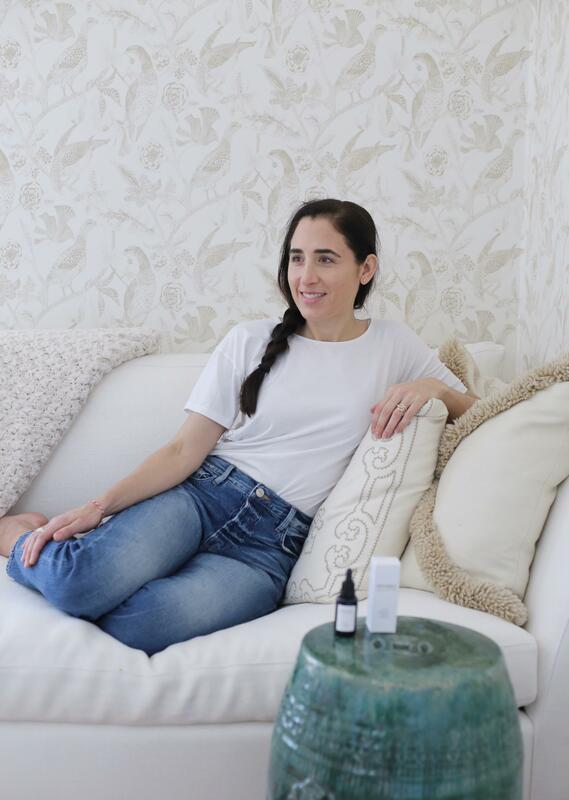 When winemaker April Gargiulo decided to tackle her skincare issues head-on by creating her own non-toxic serum, the beauty world was rocked. 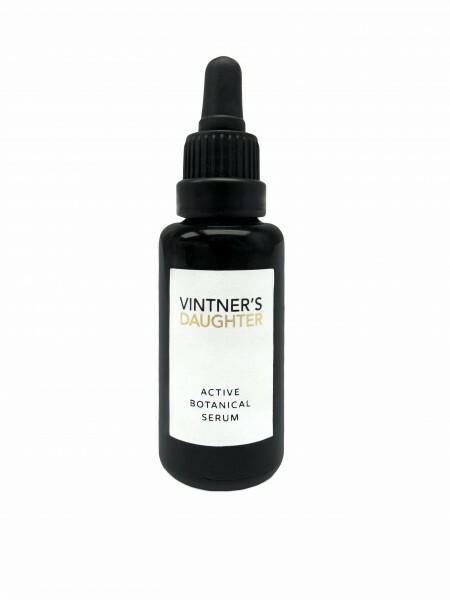 Vintner’s Daughter‘s launch product, an Active Botanical Serum that will set you back $185 and infuse your skin with the dewy glow that was once purported to be only the stuff of youth, earned immediate raves from skincare gurus and mere mortals alike. Gargiulo, who splits her time between San Francisco and Napa, explains the phenomenon. I grew up in the wine industry. I ran my family’s winery for ten years, and it was when I stepped away because I was pregnant that Vintner’s Daughter came into being. It’s very familiar—when women get pregnant, they start paying more attention to what they’re putting in their body, and I, like many, started reading the backs of my skincare products and realized that a lot of the ingredients weren’t what I would want them to be. I was not someone who had perfectly glowing skin, and I had trouble finding the activity and performance I needed in the natural beauty world. I needed a lot more cream in my coffee. I applied what I knew in the fine wine making industry. I grew up in a family that wants to make some of the finest wine in the world for conoisseurs, and that’s what I wanted to do with Vintner’s Daughter—I wanted to make one of the most performance-based face oils in the world. Whether it’s a face oil or a wine, you have to focus on quality. It has to be your yardstick for every decision you make. No shortcuts can be taken. You have to use the very finest ingredients, and honor them through a methodical, thoughtful formulation process. Were you always a beauty junkie? I struggled with my skin. I had to be! What kind of learning curve did you experience when you entered into the beauty world? Knowing what I know now about the beauty industry, I’m very glad I didn’t know anything about it! There were so many of these quality decisions that went into our formulation, and if I knew how all the crazy margins worked, I probably wouldn’t have been able to make those same decisions. From a distribution standpoint, it’s very similar to wine. From a production standpoint, the majority of skincare relies on off-the-shelf extracts and powders—they’re not starting with whole plants. When you start with whole plants, it’s a lot more expensive and time-consuming. It’s more aero-prone. We test everything, and if it’s not at the very height of what amounts to nutritional value, we start all over. What that means is we believe that an extract is OK, but what science is proving is that taken out of the full scope of a plant’s activity, that extract performs at maybe half the level it would if it had the full range of the plant’s activity behind it. We believe in a 360-degree view of the plant, and that’s why we spend the time and money to take our formualation through that process. How many actives are in the product? There are 22 ingredients, and they are all active. One of the things I was so surprised about when I started reading labels was how much inexpensive filler there was in the products I was using. I feel that women deserve more—I want to make uncompromising skincare for women who deserve it. You don’t have to compromise non-toxicity for activity. When you first launched, who were your big believers? CAP Beauty and Into the Gloss were two of the very first. March, a beautiful home store in San Francisco, and a store called Ayla Beauty, as well. I heard you hosted an event at CAP Beauty a few weeks ago that brought out a lot of Vintner’s Daughter groupies. I don’t know if we have groupies [laughs], but women are very enthusiastic about our product. And that’s me—I designed it to be the desert island product that I cannot live without. Luckily for me, when we addressed my skincare issues, we addressed them at a foundational level that applies to many other different types of skin. We see that women are using it and finding that it makes a profound difference in their skin. Skincare is very intimate and personal, and it can create an instant connection. I love that—it’s one of my favorite parts of this industry. Do you have plans to expand the product line? I will, but it’s something we will be very, very thoughtful about. I only want to introduce uncompromising, game-changing products, and that takes awhile to research and develop.